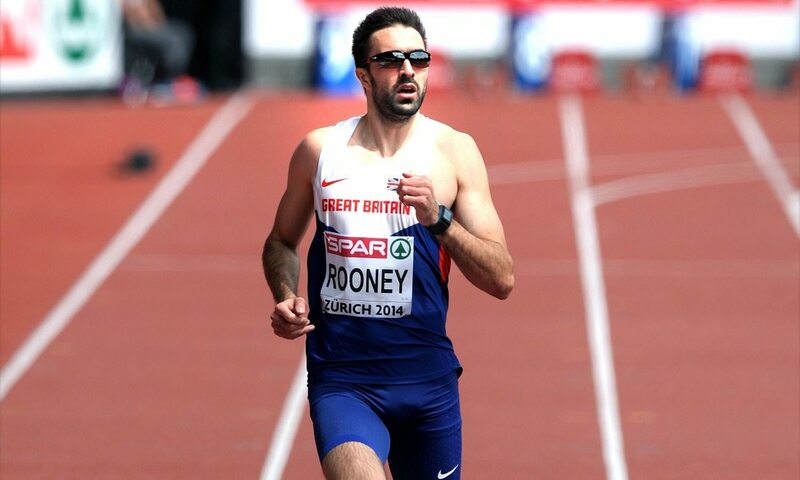 Martyn Rooney has been granted permission to defend his European 400m title in Amsterdam this summer. Rooney won European Championships gold in Zurich two years ago but was under the impression that he would not get the chance to defend his crown due to British Athletics’ selection policy, which states track athletes selected for Rio would not be eligible to compete in Amsterdam unless performance director Neil Black deemed it beneficial for their Olympic preparation. After racing at the Loughborough International meet in May the 29-year-old said that his Netherlands-based coach Rana Reider requested his athletes be allowed to compete at the championships from July 6-10 and that Rooney’s request was the only one turned down due to the close proximity of the British trials, at which he will run three times. However, British Athletics has confirmed that the 2008 Olympic finalist would line up in Amsterdam, provided he qualifies, though he would be unlikely to compete as part of the 4x400m relay team, which he anchored to a dramatic bronze at the World Championships in Beijing last year. In a statement, Black said: “With a European Championships and Olympic Games scheduled so close together you have to take a sensible approach to selection and look at what is best for each athlete as an individual. “With a firm focus towards Rio, we are liaising with athletes selected for the Olympics, and their coaches, before making a decision on selection. “As will be the case with selection for all track disciplines at the European Championships, we believe for some athletes, as with Martyn, running in Amsterdam will benefit their performance in Rio, whilst for others this competition was never part of the season plan. “When Martyn commented on European selection in Loughborough, the conversation was very much still on-going and we had not yet agreed on a plan of action that will allow him to perform at his best in Rio. “It’s a fluid process as each athlete has very individual performance requirements going into Rio and they can change as the season develops. British Athletics confirmed that Steph Twell, who recently ran a 5000m Olympic qualifying time of 14:59.00, will be one of the athletes allowed to compete in both Amsterdam and Rio should she qualify and maintain fitness. AW also understands that Tiffany Porter and Desiree Henry, both also coached by Reider, are among those athletes also likely to be allowed to compete in both championships. The team for Amsterdam will be announced following the trials on June 24-26, while the team for Rio will be announced on July 13.